Geothermal is a “Green Technology” that transfers heat energy back and forth from the earth. According to the Department of Energy and the EPA, geothermal systems are the most environmentally friendly way to heat and cool your home or building. Furthermore, geothermal systems are 3 to 5 times more efficient than ordinary HVAC systems. A geothermal system is made up of three components: a heat-pump unit, a liquid heat-exchange medium that is called a loop field, and an air delivery or hot water delivery system. The heat-pump works just like an air conditioner, but has the ability to run in reverse. This allows it to remove heat during the cooling season and then add heat to your home/building during the heating season. The units are available in residential and commercial sizes. As an added bonus, the units are extremely quiet and eliminate the annoying noise air conditioners generate. For most residential applications, we recommend a horizontal loop configuration, which uses a wide ground loop that’s buried just a few feet underground. When space is limited, typically for commercial buildings, we use a deeper vertical loop. Horizontal loops are cheaper to install; vertical loops are more expensive, but also offer even more efficient cooling. If there’s a suitable body of water on the property, we may also be able to use a pond/lake loop. There is currently a federal tax credit for the installation of a geothermal system. 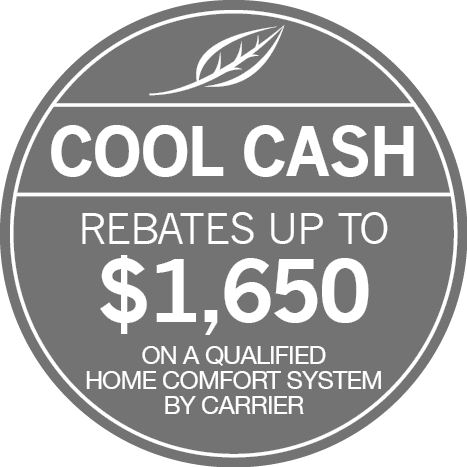 This is a 30-percent credit that is applied to the entire cost of the installation. This credit is set to expire at the end of 2016. Every geothermal unit should be serviced bi-annually to maintain its safety, efficiency, reliability, and longevity. Once they’re installed, ground source systems last a long time. The above-ground components can make it up to 25 years with regular maintenance, and the underground loop is good for 50 years or more. At R.H. Witt Heating and Sheet Metal, we’ve been installing, repairing and maintaining geothermal systems in the Chicago area for many years. We regard them as a huge part of the future of HVAC. Give us a call if you are experiencing heating or cooling issues. Our experienced technicians will determine the source of the problem and perform any needed repairs upon your approval of the service estimate. We are dedicated to your comfort! Curious about green energy? Contact us to see how this exciting technology can benefit your home.